Each August, the Swift-Tuttle comet lights up the nighttime sky, displaying a beautiful light show for all us Earthlings. How? When pieces of the comet hurl into our atmosphere at 132,000 MPH, they create streaks in the sky in what is known as the Perseid meteor shower. Usually, the Perseids provides about 60 to 100 meteors an hour. This is no normal year. 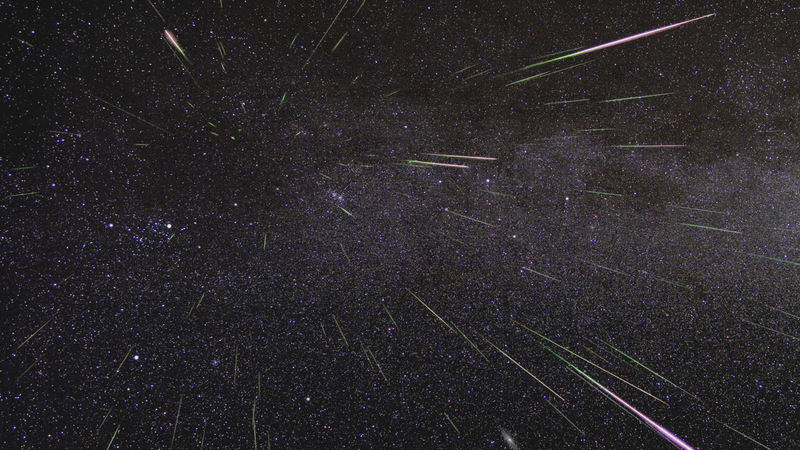 NASA predicts the Perseids will offer twice as many meteors on the night of August 11-12. If you have clear skies and live in the Northern Hemisphere, head out to watch the show between midnight and dawn local time on Aug. 12 and 13 (that is, the nights of Aug. 11 and 12). Go to a dark area, and wait for 30 to 45 minutes for your eyes to adjust. Your bare eyes are all you need in order to see the meteors. Did you know? The Perseids are named after the Perseus constellation, from which the meteors appear to radiate. What time (central time zone)?